All Blacks legend Dan Carter made a promising start on his Top League debut as he helped Kobe Kobelco Steelers to a 36-20 win over defending champion Suntory Sungoliath on Friday at Prince Chichibu Memorial Rugby Ground. World Cup winning former All Blacks fly-half Dan Carter has ruled out the option to return back to Super Rugby for the 2019 season after he was linked up with Highlanders. 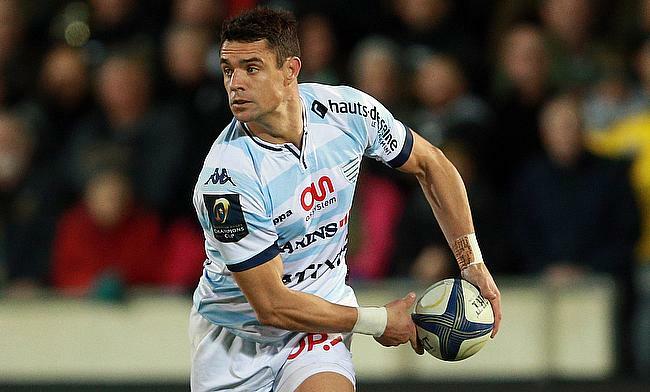 All Blacks legend Dan Carter is set to kick-start his final phase of a glittering career as he has landed in Japan and started his training after signing a two-year deal with Kobelco Steelers. Wasps fly-half Jimmy Gopperth has been announced as the Rugby Player Association's Player of the Year following his consistent performances this season for the Aviva Premiership club. Former All Blacks fly-half Dan Carter has apologised after he was involved in a drink-driving incident in Paris. All Blacks great Dan Carter and his two teammates from French rugby club Racing 92 will take their case to the public prosecutor after private medical records were made public by media. Former New Zealand fly-half Dan Carter lashed out at the media for building the hype on the anti-doping charges laid against him. The French Rugby Federation has cleared former All Blacks fly-half Dan Carter of the anti-doping charges laid against him. Land Rover has announced former New Zealand star Dan Carter as their latest addition to the elite list of Global Ambassadors. New Zealand and Racing 92 fly-half Dan Carter was lavish in his praise for Saracens counterpart Owen Farrell ahead of the European Champions Cup final on Saturday. Former Wales scrum-half Mike Phillips has hailed his teammate Luke Charteris, who he believes will be the key for Racing 92 when they taken on Saracens in the Champions Cup final on Saturday. England and Saracens fly-half Owen Farrell is hoping to emulate Racing 92 fly-half Dan Carter's calmness under pressure when they meet each other in the European Champions Cup final on Saturday. Saracens head coach Mark McCall stated that his team won't be making the mistake of targeting the Racing 92 fly-half Dan Carter when the two teams meet each other in the final of the European Champions Cup on Saturday. Dan Carter moved one step closer to completing the clean sweep of world rugby's premier trophies, booting Racing 92 into the European Champions Cup final. Former All Blacks centre Aaron Mauger believes the European Champions Cup is now the "most prestigious competition" in club rugby. Toulon's three season reign as the champions of Europe is over after they were beaten in their Champions Cup quarter-final by Top 14 rivals Racing 92. New Zealand great Dan Carter has won the prestigious Rugby Union Writers' Club Pat Marshall Memorial Award as the sport's personality of the year for 2015. Dan Carter kicked 12 points as Racing 92 maintained their unbeaten run in the Champions Cup against Glasgow Warriors.